My Book Monsters Advent has been picture book heavy thus far, but yesterday I picked up a book that refused to be put down. It was quite a special one and so it had to be included! I’d seen this book do the rounds on social media and was keen to read it. But when it came into the library recently I’d not had chance to pick it up. 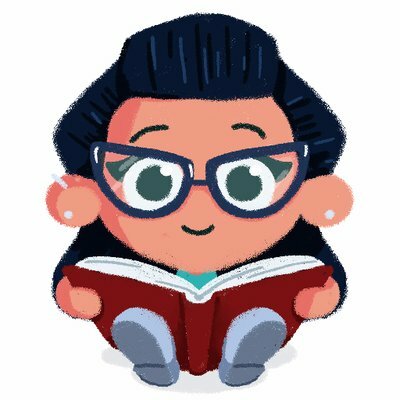 Well today, I did and started to read, and suddenly, it had been devoured a way that only the best books can be devoured by a hungry book monster. 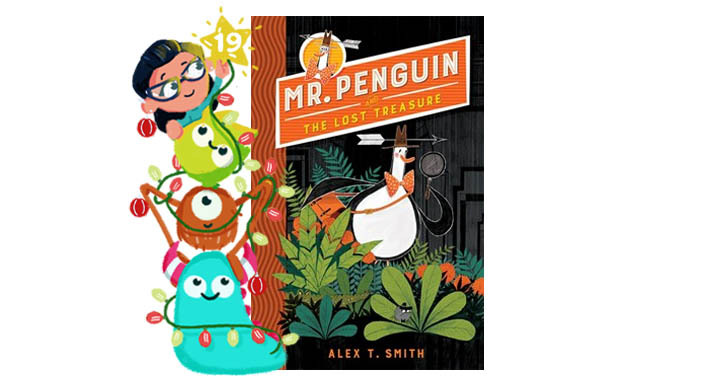 This is Mr. Penguin and the Lost Treasure written and illustrated by Alex T. Smith and published by Hodder. It tells the tale of Mr. Penguin, who quite fancies himself as a bit of an adventurer, he decides for sure that’s what he’s going to be, but when the phone rings one day and his services are required, suddenly it doesn’t seem like such a great idea. Mr. Penguin is dragged (along with his silent sidekick Colin the spider) on a wild detective adventure to find the lost treasure in order to save their local museum. This book is just wonderful. The writing is brilliantly funny and full of wit, which is what grabbed me in the first instance, and then the story, which shot off like a crazy runaway roller coaster kept me gripped. consider it a bit of a cross between Indiana Jones and The Goonies, fronted by a rather well to do and bumbling penguin! 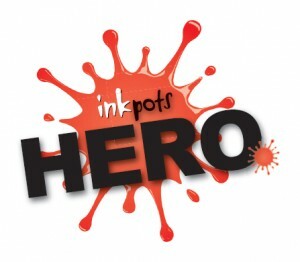 An incredibly unlikely hero, and yet, here he is, heroing with aplomb! Mr. Penguin and the Lost Treasure is really easy to read, in that it flows naturally and the witty writing is fabulous and absorbing. The story is gripping and contains a huge amount of unexpected twists and turns which are bound to keep even the most reluctant reader entertained and interested. Alex’s illustrations which are liberally peppered throughout the book are dynamic and funny and break up the text beautifully. I really can’t recommend this story enough, and I certainly will be in my library. I read it in one sitting and thoroughly enjoyed every single second, and I’ve no doubt there are bucket loads of adventurous, penguin loving children who will adore this story too. Absolutely brilliant, faultless and one for every school, library and home bookshelf.